Our Diploma program is a Full Time 3-year course which consists of 6 semesters. Students will learn Nursing and Health & Behavioural Sciences which comprise of nursing knowledge and skills, human ang public relations, communications and IT, professional development and management. Students are continuously assessed through assignments, periodic short tests, case studies, presentations and clinical assessments. 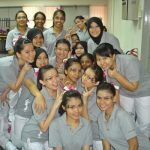 Students are able to enhance their learning through clinical practice as the well established Assunta Hospital, located next to the College. 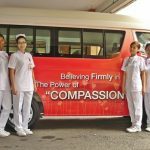 Students will be awarded a Diploma in Nursing upon completion of the course and are officially registered with the Malaysian Nursing Board as Registered Nurses (RNs). This qualification will enable Nurses to work in a variety of settings including clinical areas in hospitals, community health centers, nursing homes, industrial health clinics, insurance companies and even sales & marketing of healthcare products. SPM with credits in Mathematics, English, Bahasa Malaysia, Science and 1 other related subject. Malaysian 18 years old and above. We also encourage STPM holders to apply for the course. Interested applicants are required to write-in with completed application form along with your SPM/STPM results and 1 non-returnable passport-size photograph for consideration. Any other supporting documents are also encouraged. Upon submission of the completed application form, the applicant will have to attend an interview and pass a pre-entry assessment. Subsequently, he/she will also be required to undergo a medical examination at Assunta Hospital. The cost of the medical examination is to be borne by the applicant. In our effort to give back to the community and assist underprivileged students, Assunta Hospital offers limited scholarship to students who are keen to pursue this challenging profession. What is the length of the Diploma program? 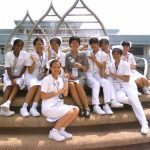 Our Diploma in Nursing programme is a Full Time 3-year course comprised of 2 semesters per year. Each semester is 6 months inclusive of theory and practical. 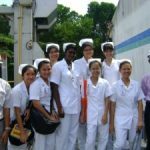 A student pursuing the Diploma in Nursing with Assunta College of Nursing needs to achieve 108 credit hours to graduate. 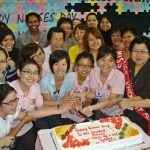 The student will be officially registered with the Malaysian Nursing Board as Registered Nurse upon completion of the course. What are the available options after I obtain my Diploma? Upon completion of the course, graduates can choose to increase their knowledge in specialised areas such as Intensive Care Nursing, Critical Care Nursing, Mental Health Nursing, Orthopaedic Nursing, Paediatric Nursing, Diabetic Nursing and Midwifery Nursing. Where else can I work besides in a hospital setting? The career pathway for nursing is very diverse and is always in demand. 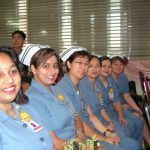 Nurses can work in sales and marketing for companies dealing with Pharmaceuticals, Medical Equipments, Health and Fitness, Nutrition, Milk Industries, Child Development, Insurance and even Industrial Nursing. Our graduates have enjoyed successful careers locally and abroad due to the trust placed on Assunta graduates for the past 50 years. What is the syllabus for the Diploma in Nursing? Our syllabus comprises Nursing, Health and Behavioral Sciences. The nursing profession is a hands-on job that requires specialised skills to handle a variety of patients from all walks of life. The theory learning will be conducted via lectures, demo-lectures and discussions. Students will complete their practical learning at Assunta Hospital, a well-established hospital located next to the College. Students also have the option to practice their skills in our fully-equipped Demonstration Room, Skill Laboratory and Treatment Room. They will also experience nursing in the community (nursing homes, private nursing, public health nursing) and in mental health settings. What if I am unable to complete within 3 years? Every student has different learning skills and each student will have many opportunities to acquire competent skills to be a professional nurse while studying with us. Tutors are constantly available to guide students to the path of success. If a students are unable to satisfy the required coursework for the semester, they will be subjected to course regulations in accordance with the College Rules & Regulations and exam policies. There are currently two intakes per year, in April and July. We recommend candidates to submit applications early for consideration as seats are limited for each intake. How can I qualify for admission? We currently accept application from candidates who possess SPM certification with credits in Mathematics, English, Science and 2 other relevant subjects. A pass in Bahasa Malaysia is also required. Candidates who are interested are required to submit a completed application form with a letter of intent describing their interest in Nursing. Shortlisted candidates will be called for an interview and they will need to pass a pre-entry assessment set by our College during the interview (a RM10 processing fee will be charged at time of the interview). Successful candidates will be notified of the outcome approximately 2 weeks after the interview. A letter of offer will be sent to the successful candidate along with a list of things to bring on enrolment day. Subsequently, the candidate will also need to undergo a medical examination at Assunta Hospital. 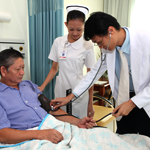 The cost of the medical examination is RM200 and is to be borne by the candidate. 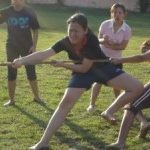 Where do I stay during training and can I drive to College? College life is about meeting friends and building lasting friendships. Class assignments and projects require students to frequently interact. 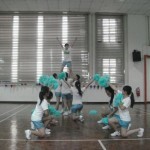 This also extends to participation in the many extra-curricular activities organized by various clubs. 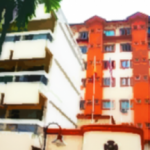 Students of Assunta College of Nursing are required to stay-in at our hostel during training. The hostel is located at the college premise and is monitored 24-hours by qualified security personnel. Staying at our hostel also takes the headache of students driving to-and-from home during class and clinical postings when the semester is in session. The cost of accommodation (RM280 per month) is already included in the yearly fees. How much is the cost of training for a Diploma in Nursing? 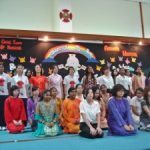 All students are on a scholarship fully sponsored by Assunta Hospital. The scholarship is worth RM 120,000. This scholarship includes Diploma in Nursing and Specialization Certification (Post Basic). 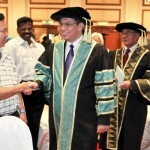 Can I apply for PTPTN loan to study at your college? No. All students will be on scholarship. Do you offer financial aid or scholarship? Yes, full scholarship is available to qualified students who wish to pursue this challenging profession. The award of scholarship is based on the College and Hospital’s discretion. Our scholarship includes full course fee, uniform & shoes, hostel accommodation with 24-hour security, insurance and medical coverage and monthly allowance up to RM550 for the duration of the course. Scholarship is very limited each semester and we encourage candidates to submit their applications early for consideration. What are the terms and conditions of your scholarship? As with most financial aids or scholarships, students are bonded to the respective hospital for service after graduation. There is a 7.5 year service bond for scholarships offered by Assunta Hospital. This includes scholarships for Diploma in Nursing and Specialization Certification (Post Basic). 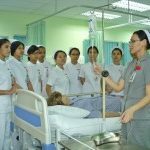 Graduates will be paid the salary of a nurse during the service bond. If the student decides to leave at any time during training, he/she is required to pay a penalty for breach of contract in accordance to the terms stated in the contract.